Are you wondering what you need to bring to close when you purchase your home? Whether you’re a first time home buyer or not, there are a few things you need to remember to bring with you to close. One is bring two forms of identification. One being a valid government issued photo ID, valid meaning non-expired. For the second form of identification, just something with your name on it that the title company can photocopy. You should also bring a personal check book. Sometimes there are slight changes that result in a little more money being due at settlement. With the personal check you can square it away right at the table. For whatever reason, if we have money in excess, and owe you funds we will cut a check back to you. Also, for the funds that you need to close, which you’ve already known about, usually cashiers checks are accepted up to a certain amount. You can give me a call or contact Brendan of course to find that exact amount. However, something that’s a large chunk of change, in five figures and so forth, we usually ask for a wire. 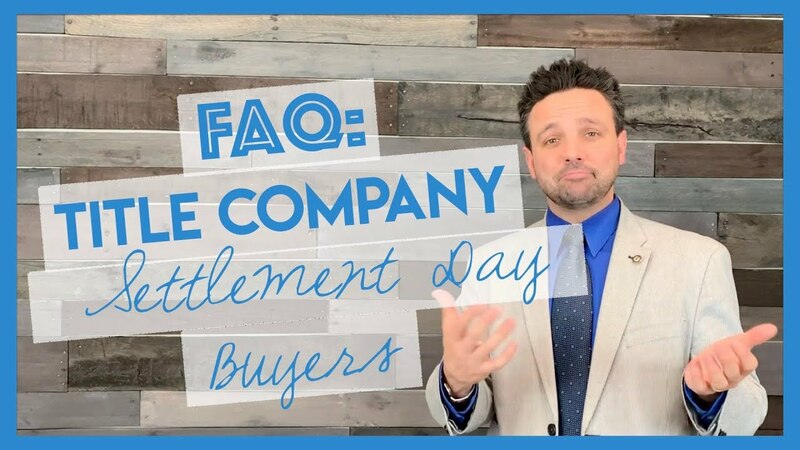 We ask that the wire be sent directly to the title company at least a day prior to settlement to make sure that there’s plenty of time to process those funds in time to close on your new home.